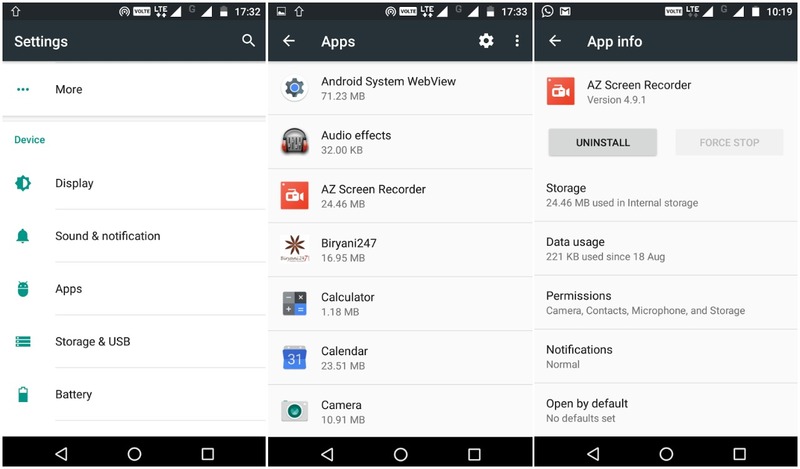 How to Close Apps on Android the Right and Effective Way? When you have a lot of applications installed, you may require the need to close the apps on your Android device. It really depends on a lot of situations when you need to close an app. You could be requiring it to prevent someone access to it by exiting the current session. Or you just want to restart the app to while encountering any kind of error/bugs. So, you need to know the correct way and the possible methods, to sum up, the answer to your query- how to close apps on Android. Before knowing about the way to do it, we should also know what really happens under the hood when you close an app on an Android device. Does it result in an increase in device performance or affects it? We will be getting to know about all of the possible doubts along with the method to close apps on Android. Also Read: Clean Master App Review: Is Clean Master a Good App? Does Clean Master Really Work? What Happens When You Close an App on Android? It depends on how you close the application on your smartphone. But, whatever be the case, the background processes are stopped, and the services are killed as well. However, for some applications like an e-mail app which is set to trigger every 10-15 mins to re-sync or check for incoming emails, still has some specific services running in the background until you close the app in a very specific way. You will get to know more about it as we discuss the methods to close an app on Android. If you want to learn how to close an app on Android, then you are at the perfect place as we are going to help you learn the same. In this article, you’ll come to know multiple methods to close apps on Android. When you hit the recent task window and swipe away the applications you had opened, it closes the application in a way. Depending on what the app does, it could either be completely killed by swiping or just would restart a new session upon launch with background processes still running. It’s normally the home button (or the recent task softkey) that you need to tap and hold to see the recent tasks you had running (which are now paused). Simply, swipe them away to close them. If Method 1 did not work for you, there is still something you can do about it, i.e., Force Stop. If you force stop an app, every service will be killed and stopped until you launch the app again. No background services associated with that app will run nor would you get any notifications from it. Step 2: Head on to the Application option (or the Application Manager). You may see slightly different terms mentioned on every different device, but it’ll be something related to the apps that you can manage. Step 3: Once you are inside the application manager, simply tap on the desired app that you want to force close. Step 4: After heading inside the app info section, you will find “Force Stop” option. Simply, tap on it and confirm to force close the app you wanted to kill. And, even better, if you do not require the app, why not just uninstall it instead of force stop? Well, that’s just a suggestion, it all depends on your priorities of what applications you need to keep and what you do not. So, those are the methods that you should follow to close apps on Android. Do note that we would never recommend using task killers or 3rd party task managers to close an app on your Android device, that’s just a redundant app which may make things even worse than what it was. Did you have trouble following the methods to close apps on Android? Let us know your thoughts in the comments section below. How to Keep Your Android Device Secure? What does Every Android User Need to Know Before Rooting Android Device? How to Make Free Calls to Any Mobile from PC?